Middlesbrough Supporters South was founded in 1975 by a handful of Boro exiles on the steps of the players entrance atHighbury. 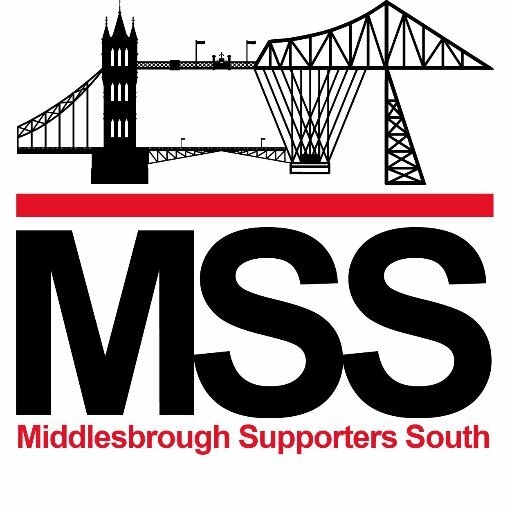 Originally founded as a London-based Boro supporters club, MSS soon became a club for Boro fans all around the south of England and eventually for Boro exiles across the UK and the world. Our regular email newsletter includes details of pre-match pubs and also information on our nominated pub for watching televised games. Every now and then tickets swap hands between members and lifts to matches can be arranged through theMSS email community. MSS hosts regular parties which are well attended by the club. Steve Gibson and various managers have visited on many an occasion and we hope to welcome them again soon along with other players. When the Boro feature in televised matches, MSS gets together at a suitable pub in London which is advertised on the website. MSS runs two football teams in leagues organised by the Association of Provincial Football Clubs in London (APFSCIL) and have been extremely successful over the past few seasons, winning the cup and the league. APFSCIL also runs pool and darts leagues throughout the city and MSS have a thriving pool team in the league. For more information about these leagues please contact sports@mss.org.uk.